Our guide to Santa Monica will help you find the best vegetarian restaurants in Santa Monica California. There are tons of great vegetarian restaurants in the city of Santa Monica, our city guide will help you find the best vegetarian restaurants. You may have a hard time deciding what to do in Santa Monica, but we make your decision easy. 1405 Montana Ave, (310) 393-1467 - Pradeep's Indian Cuisine is a vegetarian restaurant located in Santa Monica CA. 1416 4th St, (310) 656-7017 - La Serenata is a vegetarian restaurant located in Santa Monica CA. 1909 Wilshire Blvd, (310) 828-7060 - Chandni Vegetarian Restaurant is a vegetarian restaurant located in Santa Monica CA. 2301 Main St, (310) 392-9501 - Euphoria Loves Rawvolution is a vegetarian restaurant located in Santa Monica CA. 609 Broadway St, (310) 587-1552 - Planet Raw by Juliano and Ariel is a vegetarian restaurant located in Santa Monica CA. 625 Montana Ave, (310) 576-6616 - Patty's Gourmet Pizza Take is a vegetarian restaurant located in Santa Monica CA. 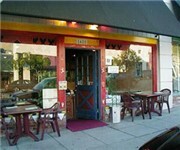 717 Broadway St, (310) 458-7620 - Better Life Cuisine is a vegetarian restaurant located in Santa Monica CA. 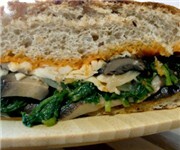 1028 Wilshire Blvd, (310) 393-6500 - Golden Mean Vegan Cafe is a vegetarian coffeeshop / cafe located in Santa Monica CA. 413 Santa Monica Blvd, (310) 656-2411 - Earth Bar Juice Bar is a vegetarian juice / smoothy store located in Santa Monica CA. There are plenty more vegetarian restaurants in Santa Monica. See all vegetarian restaurants in Santa Monica California.